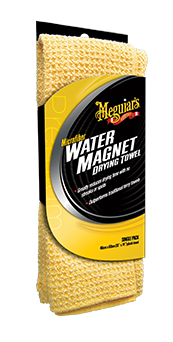 Their new and improved Microfibre Wash Mitt allows for swirl-free washing while lifting and trapping the dirt. This super soft Microfibre Mitt provides a gentle wash action and is machine washable. 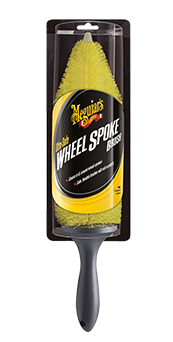 Meguiar’s are pleased to introduce a natural chamois to the range. 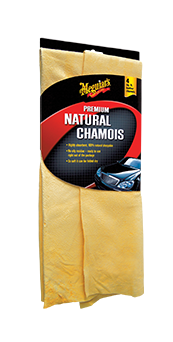 Through popular demand we bring you this large 100% natural sheepskin chamois with unsurpassed thickness and premium tanning process to produce maximum absorbency / durability. 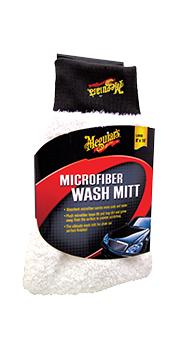 This incredibly plush microfibre gives amazing results. 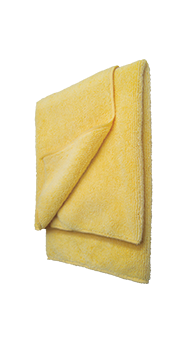 The thick, dual-sided microfibre pile absorbs three times more than traditional terry towels and the fibre structure reduces the effort needed to remove product residue. 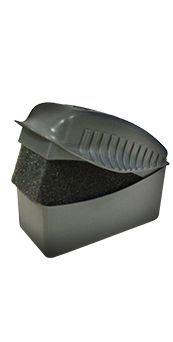 Safety edging eliminates the potential for scratching. Machine washable. 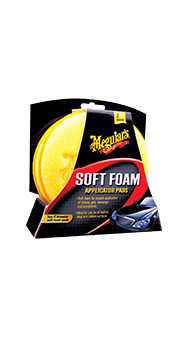 These pads are ultra soft and use a tight cell structure to offer safe and even application of product on a variety of surfaces. Machine washable.